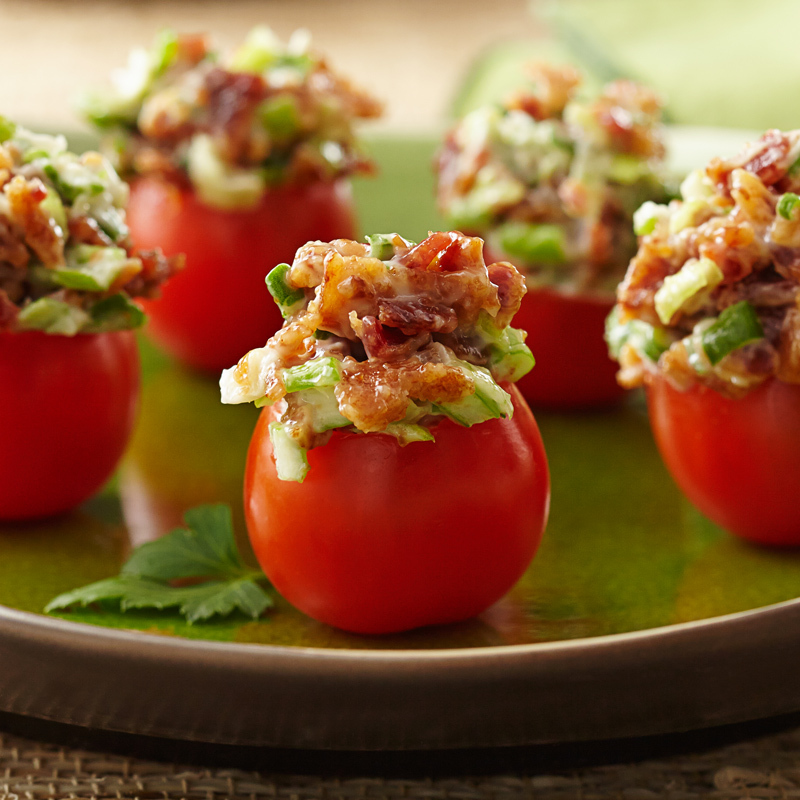 A flavor bomb of Glorys® tomatoes, shrimp, Greek seasoning, and more! Add garlic and shrimp; cook until shrimp is just done, about 2-3 minutes. Remove shrimp and set aside. Add NatureSweet® Glorys® tomatoes and olives to skillet, and cook until tender. Add shrimp mixture back to skillet; season with Greek seasoning and salt to taste. Add lemon juice and feta; mix thoroughly. Serve over pasta immediately. Inspired by the recipe submitted by 2014 Glorys® of Cooking winner Cheryl Lundquist.